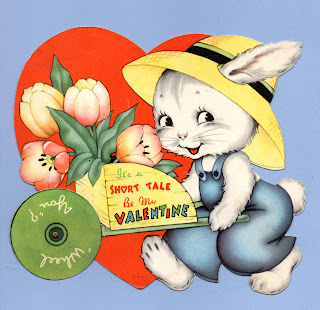 It's a SHORT TALE Be my Valentine "Wheel you"? 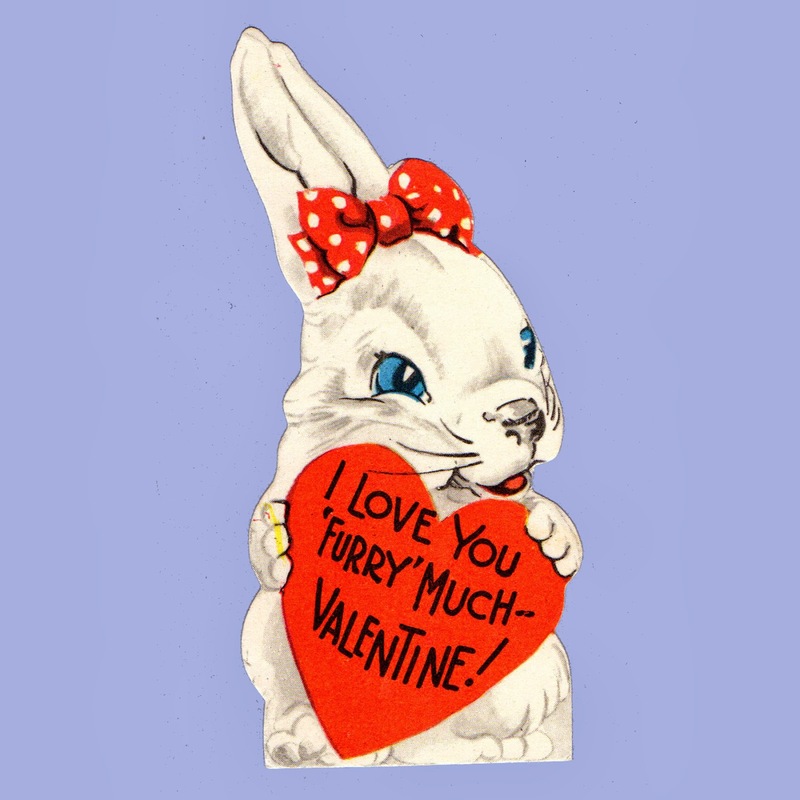 I Love You FURRY Much - Valentine! I want you to be my Valentine. 7 3/8" x 3 1/4"
EAR'S HOPIN', Valentine! 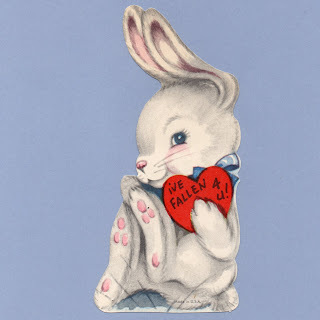 You'll be my HONEY-BUNNY! My Valentine Give me a place in your heart. 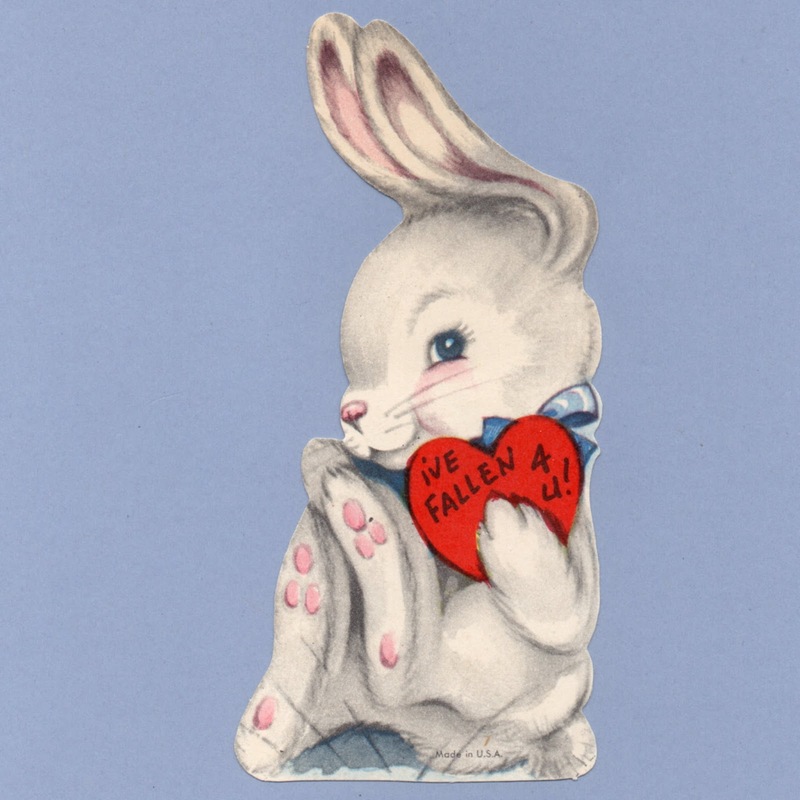 No DANGER in being My Valentine! Let's be Valentines Gee, I sure am hoping that this will HIT THE SPOT so's you'll be Valentines with me 'cause I like YOU a lot! I'm a timid little thing ~ Soft and cuddly too ~ Wrapped up in my rabbit skin How I'd cling to you! Be a Good Bunny My Valentine.